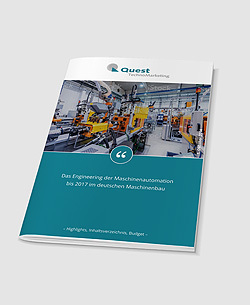 The industry profile includes key figures and market shares for the automation of German packaging machines and the position of suppliers of automation technology. The data basis of this industry profile consists of the trend analyses of Quest TechnoMarketing. 58 pages, 40 figures, 7 tables and listing of 199 packaging machine-builders with Internet link. Spiral bound, colored print edition in English language.